Although Fiske-Harrison did not contribute in words to The New York Times’cover story below (which ran with similar prominence in the International Herald Tribune) he was with Juan José Padilla at the time and arranged the interview, (having met Raphael Minder for the NYT-IHT article further on.) Padilla is not only the first matador Fiske-Harrison met for Into The Arena, but also accompanied and mentored him in his forays into the ring. 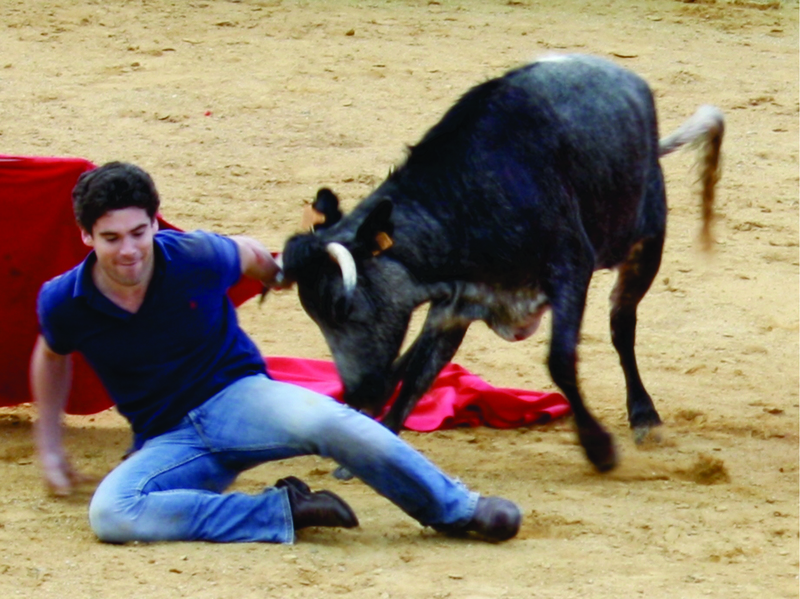 “I’m somebody who has always accepted the risks of my profession, as well as its rewards,” said Mr. Padilla on his decision to return to bullfighting. 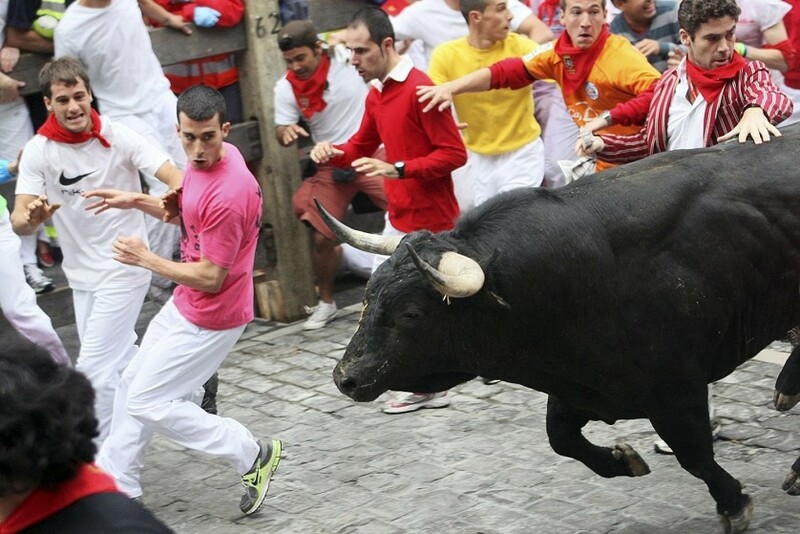 YOU MIGHT THINK that Ernest Hemingway had bulls and Spain all wrapped up, but it is fifty years now since The Dangerous Summer, his study of two bullfighting brothers-in- law, was first published and more than eighty since his novel Fiesta, about a group of friends who go to watch the running of the bulls in Pamplona. Spain has changed immeasurably since then, shaking off the ‘black legend’ that for centuries branded it as a backward, fervid, superstitious and cruel society. 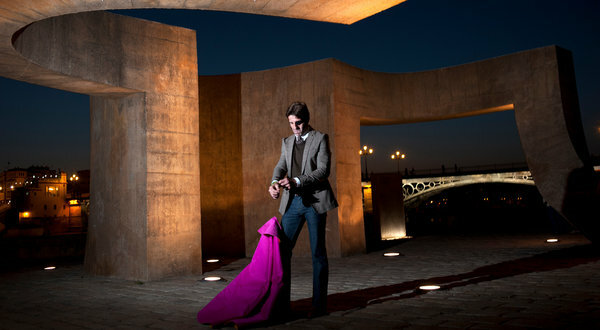 Yet some elements of superstition, fervour and cruelty still shape Spanish culture and none more so than bullfighting. 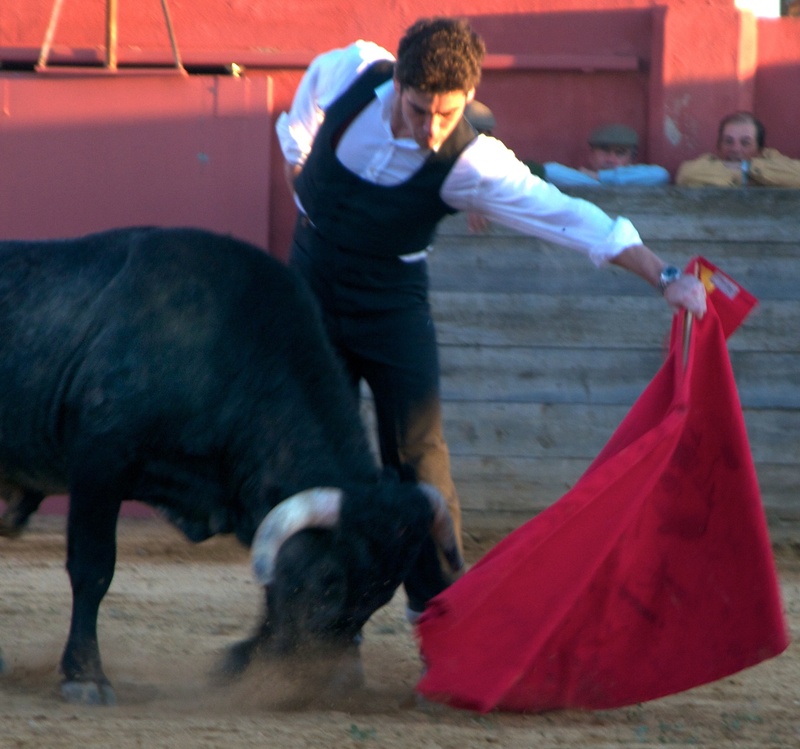 The question of whether a modern society should endorse animal suffering as entertainment is bound to cross the mind of any casual visitor to a bullfight. Alexander Fiske-Harrison first tussled with the issue in his early twenties and, as a student of both philosophy and biology, has perhaps tussled with it more lengthily and cogently than most of us. The germ of this book was an essay in Prospect (a ‘rather longwinded’ one, by his own admission). 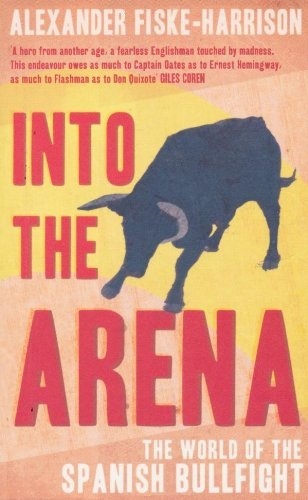 Into the Arena is an attempt to take the bull more firmly by the horns. In researching it, Fiske-Harrison spent nearly two years following a clutch of toreros, several of whom became his friends. He studied their art and learned some of it himself, all the while trying to come to a decision about the morality of a sport that is also an art form.